GEORGETOWN, Guyana, Nov 30 2013 (IPS) - It’s a dirty, smelly business, but wastewater is gaining prominence across the Caribbean as countries from Jamaica in the west to Guyana in the south increasingly recognise its effects on the environment and the importance of improving its management. Coordinator of the Guyana Wastewater Revolving Fund Marlon Daniels told IPS that with the advent of climate change, protecting the environment has become more of a challenge for countries of the region. He explained that climate change has resulted in unusual weather patterns, including more rainfall and flash flooding, and these have caused an increase in sewerage entering the sea. “One of the effects of improving access to water, as required under Goal 7 of the United Nations Millennium Development Goals, is that more people instead of using a pit latrine now use a flush toilet, so they have an on-site treatment in the form of a septic tank,” Daniels said. Dr. Donna-May Sakura-Lemessy, deputy director at the Trinidad-based Institute of Marine Affairs (IMA), says while the Caribbean benefits tremendously from the tourism industry – last year visitors spent an estimated 26 billion dollars – tourism-dependent economies of small island Caribbean states suffer the most from untreated wastewater with the destruction of reefs and the pollution of beaches. “Poor wastewater management leads to degradation of both your potable water sources and your environmental resources. So what will happen is that your swimming waters will be contaminated and this could lead to gastro-intestinal diseases and things like ear infections,” Sakura-Lemessy told IPS. “When people have to come into a country, they pay to go where they can enjoy themselves. They don’t want to come into a country and hear that no bathing or swimming is allowed or knowing that there is a risk that they could get ill if they bathe in the water. In some Caribbean countries, tourism employs eight out of 10 people, she stressed. Daniels noted that fishing industries are also affected where pollution has destroyed fish breeding areas and food supply, and the interaction of untreated wastewater with stressed environmental systems makes future adaptation to climate change more difficult. 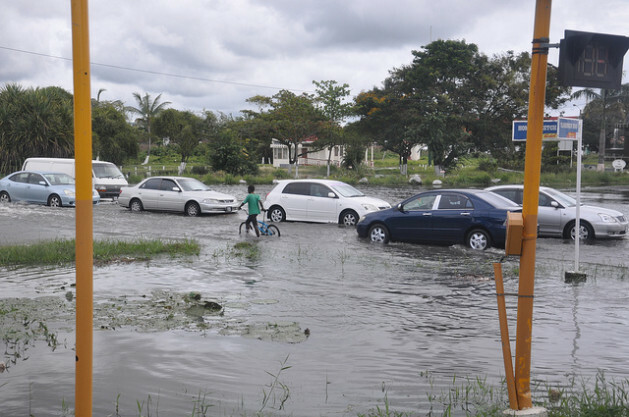 Persistent rainfall in Guyana on Nov. 26 left many areas of the capital flooded, prompting the country’s Chief Medical Officer Dr. Shamdeo Persaud to advise residents to pay special attention to water safety and personal hygiene. “Stay out of the water as much as possible, as it can greatly reduce your chances of contracting diseases such as skin infections, leptospirosis, diarrhoeal diseases and other water-borne diseases,” Persaud said in an advisory. She also urged residents to keep food separate, protected from the flood water; to throw away all food that has been in contact with the flood waters; and to wash all fruits and vegetables with treated water. University of the West Indies (UWI) lecturer Dr. Adrian Cashman said the impacts of climate change on wastewater management will be through changes in temperature, precipitation patterns, sea level rise, and storm related damages. “Many of the urban areas in the Caribbean are located in low-lying coastal areas with some 40 percent of the population living within two kilometres of the coast,” Cashman said. “Given that the majority of urban areas are not serviced by centralised sewerage systems and therefore rely on other means of disposal, the impact of sea-level rise on these wastewater systems may be particularly severe. “The potential effects are higher groundwater levels which will restrict the ability to soak away effluent and back-up systems as well as restrict biological activity that provides the assimilative capacity. This in turn will lead to elevated levels of beach and marine pollution, contribute to eutrophication of bathing waters and the creation of marine dead zones,” Cashman added. In 2011, the Global Environment Facility (GEF) began funding a four-year project – the Caribbean Regional Fund for Wastewater Management (CReW) – that seeks to provide sustainable financing for the wastewater sector, support policy and legislative reform, and foster regional dialogue and knowledge exchange among key stakeholders in the Wider Caribbean Region. The Inter-American Development Bank (IDB) and United Nations Environment Programme (UNEP) are the co-implementing agencies for the project. The Project Coordination Group based in Jamaica carries out the day-to-day management of the CReW project, supported by Pilot Executing Agencies (PEA) in Jamaica, Belize, Guyana and Trinidad and Tobago. 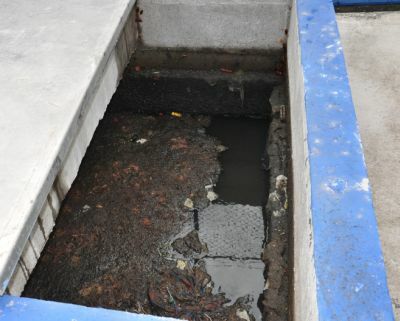 Project Coordinator of the GEF CReW Denise Forrest said that about 80 percent of domestic wastewater that enters the Caribbean Sea is only partially treated or untreated. “We have to recognise that wastewater management and its effective treatment is not something that we can say is a low priority or something that we can ignore. It is in fact a significant development requirement, particularly in the context of a region whose development and quality of life for its people rests on its natural resource base,” she told IPS. “If we fail to treat with the issue of managing wastewater effectively, we are perhaps dooming our region to a future that is not prosperous both in terms of our economic development, in terms of the health of our people, in terms of the quality of life, and in terms of hedging our bets in terms of how we adapt to climate change. “It is absolutely essential that we deal with this issue,” Forest added.